The latest edition of the legendary FIFA series is out this month, with millions of dedicated players counting down the days until they can build their next Ultimate Team. 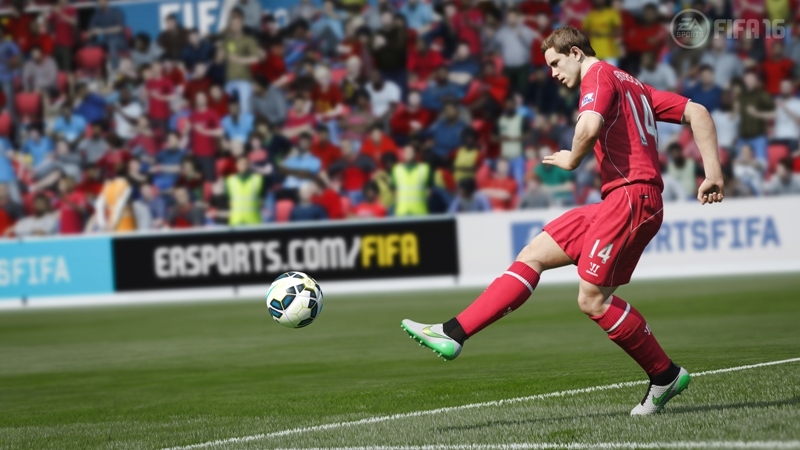 However, just a year after the brilliant FIFA 15, how much has the latest FIFA changed? Surprisingly, early impressions suggest quite a lot. Not so much that the core game is completely different but enough to make a great game even more enjoyable (and realistic!). So without further ado, here’s what’s new in FIFA 16! EA caused a lot of controversy when they introduced price ranges to Ultimate Team. Designed to combat coin sellers, the measures actually ended up costing players a lot of precious coins by lowering the values of top players (although, conversely, it also helped a lot of gamers buy players they wouldn’t have been to afford before too). The good news is that, while price ranges are still present, EA have made the ranges much wider in FIFA 16. This means it’ll be much easier to buy and sell players without paying too much or losing out because EA have set the top price band at a price lower than you originally paid for your players. In even better news, EA are re-introducing the transfer market to both the UT web and mobile apps after removing it earlier this year. While the introduction of tactical defending in FIFA 12 is generally seen as a good thing, some of the decisions your AI defenders make are questionable at best: why on earth is your right back half way up the pitch while Gareth Bale has 20 yards of space? That could be a thing of the past in FIFA 16, though, as EA claim they’ve improved AI decision making and communication. Unfortunately, that means you won’t be able to blame the computer for conceding goals anymore. Best get mastering the brand new slide tackle and player tracking controls! It’s not just the back four who’ve been given a boost either. If you prefer defending from the front, you’ll be glad to hear that interceptions have been improved too – which should mean a few more midfield battles. Keepers have always been something a problem in FIFA; despite massive improvements over the past couple of years, they still make the odd unusual decision and let in shots they really should have saved. While mistakes are part and parcel of the game (as pretty much every keeper, brilliant or not, will tell you), FIFA 16’s goalkeepers should be a bit less error-prone thanks to a number of improvements – including the ability to track back and watch the ball at the same time. FIFA has more or less got passing and through balls nailed, which is why they’ve introduced a new tool into the playmaker’s arsenal. Holding down R1/RB while you pass will now launch a faster, more direct through ball. It’s harder to pull off, but much more likely to slice a defence in half. FIFA Trainer is a new on-screen guide which provides you with tips as you play the game, like when to press, when to cover and when to pass (and what kind of pass you should choose). Apparently it’ll help teach you how to deal with the dreaded lobbed through ball too. Hooray! Unveiled way back when FIFA 16 was first announced, the game will feature 12 international women’s teams. We’re already planning to revenge England’s heartbreaking exit from the World Cup earlier this year. One for the skillerz, no-touch dribbling allows you to body feint and move around the ball to bamboozle your opponents even more. Just hold the left bumper (or L1) while in possession! Once the centrepiece of FIFA, Career Mode has fallen to the wayside somewhat after the rise of Ultimate Team and Online Seasons. Luckily, EA have paid a bit more attention to this year’s version – if you have a PS4, Xbox One or PC. You can now play pre-season tournaments and specify what kind of training each of your players undertakes in order to help them become world beaters. According to EA, commentators will remark on key ‘stories’ over the course of your season, as well as the performance of teams around you, to provide more of an immersive narrative feel. If you’re planning to pick up FIFA 16, why not get sell your games and get a bit of extra cash to put towards it? Click below to get an instant price!